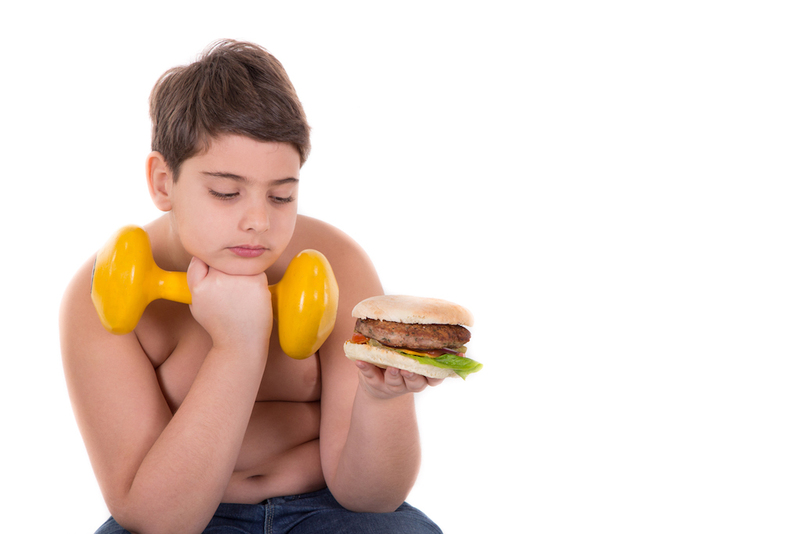 The percentage of American children who are overweight continues to climb. It’s due to lifestyle habits: The popularity of electronic media means children these days spend more time sitting, and snacking, than previous generations who were more physically active. And while they’re watching TV our kids are being constantly being sold on the idea of fast food and junk food. So what can parents do to get their children on the right nutritional track and give them the tools to build a healthy lifestyle? Read on for some good advice. If you're a parent, your best chance of influencing your children toward a healthy lifestyle is by setting a good example with your own eating and exercise habits. According to Mayo Clinic studies, “children of parents who both exercise are about six times more likely to be active than are children whose parents are sedentary.” The studies also show that a child has a 50 percent chance of obesity if one parent is obese and 80 percent if both are. If you know your household could do with some healthy changes, start small by introducing healthy snacks and replacing some TV time with outdoor recreational activities – even something as simple as a walk to the park or some time throwing a ball around can set the pace for a better lifestyle. Always be available and encouraging yourself, and remember to play fair. For instance, when you limit your kids' TV time, limit your own as well. Parents set the bar, and kids will notice if they chin up to it! Children – and sometimes their parents as well – need to learn that “exercise” is not equivalent to corporal punishment! 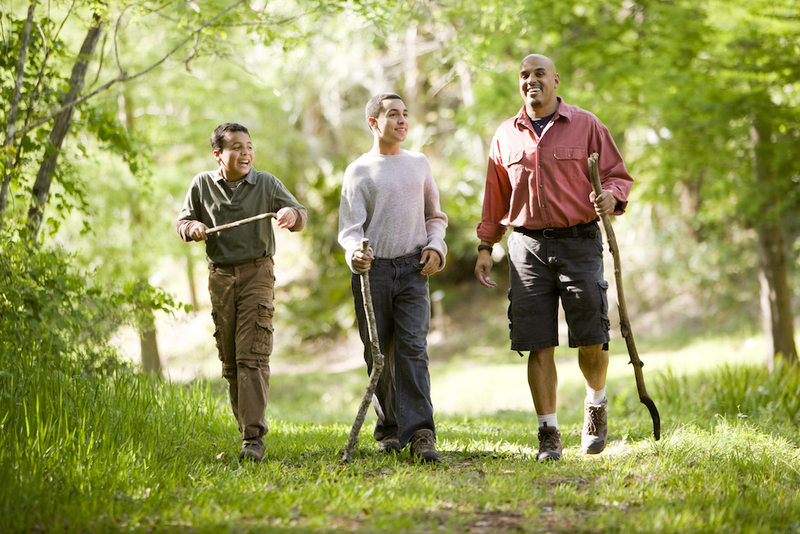 To get your family more active, plan fun activities that can involve everyone. If hiking, biking, swimming and rollerblading are too far afield from the family's established TV-watching patterns, more subtle changes can effectively give those sofa cushions a break. For example, get into the habit of an after-dinner walk or bike ride. And playing with the kids can be great fun! Tag, hopscotch, jump rope, or any game that involves some running around can give everyone a workout. Got a hoop over the garage? Why not find the basketball that goes with it and start bouncing. A family garden is another great way to get everyone outside – and eating more fresh vegetables. Of course, children always outgrow playing with Mom and Dad. For the sedentary teen who is, or is becoming, obese, pushing the exercise issue may be counter-productive. Get them active in things that already interest them; sports, martial arts, skateboarding, dance and gymnastics all exist outside of TV and video games. Encourage them to try the real thing! Stock your home with fresh vegetables, whole-grain based products, and meats that are low in fat. 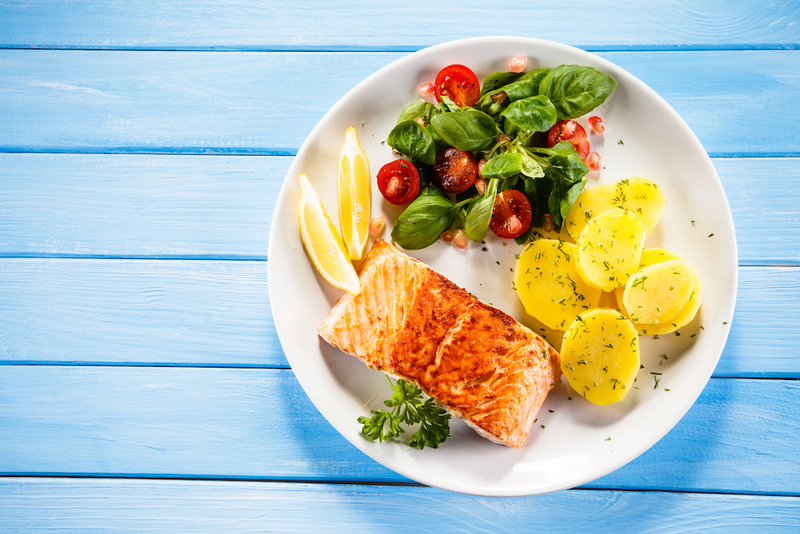 Having more nutritious foods at hand prevents that last-minute dash for take-out. Avoid the temptation of high-fat and sugary snack foods by not having them in the house. Remember that fruit is the original fast-food! Serve snacks of bananas, strawberries, tomatoes and carrots; add some low-fat vegetable dip for interest. Make cooking a part of your whole family's routine. 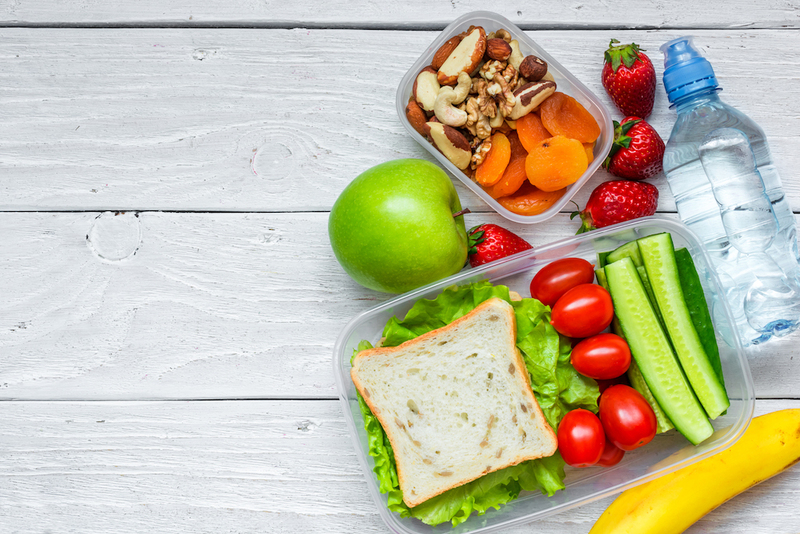 Get the kids involved in preparation, and have them learn to put together healthy school lunches and snacks. Make water the beverage of choice in your household. Sodas and most juices only provide “empty calories” which do nothing but add weight. Low-calorie sodas are an OK choice, but still need to be limited. Encourage your kids to eat breakfast. A quick calorie-controlled cereal with low-fat milk and fruit will help morning concentration at school. Not eating breakfast usually results in high-calorie snacks at break-times and lunch. Avoid desserts which are high in fat and/or sugar. Fresh fruit is an ideal way to finish the meal; or try some low-fat desserts from the CalorieKing recipe pages. If your child is not hungry then don’t try to force-feed or eating will soon lose its pleasure. Your efforts to prepare a meal can still be appreciated despite an unfinished meal. If a very small amount of food is eaten, ensure that desserts and snacks are not available. Avoid using food as a reward tactic, or withholding it as a punishment. Specifically depriving your child of certain foods can result in his/her overeating whenever there's a chance. And No TV during meals! Let your child know that he or she is loved, regardless of his or her weight. When children feel appreciated and good about themselves, they're more likely to make healthy choices for themselves. Applaud your child's strengths and abilities, and encourage activities that bring them out. Stay supportive. An overweight child doesn't need a parent who is confrontational or derogatory. They need to know and feel that you are on their side. 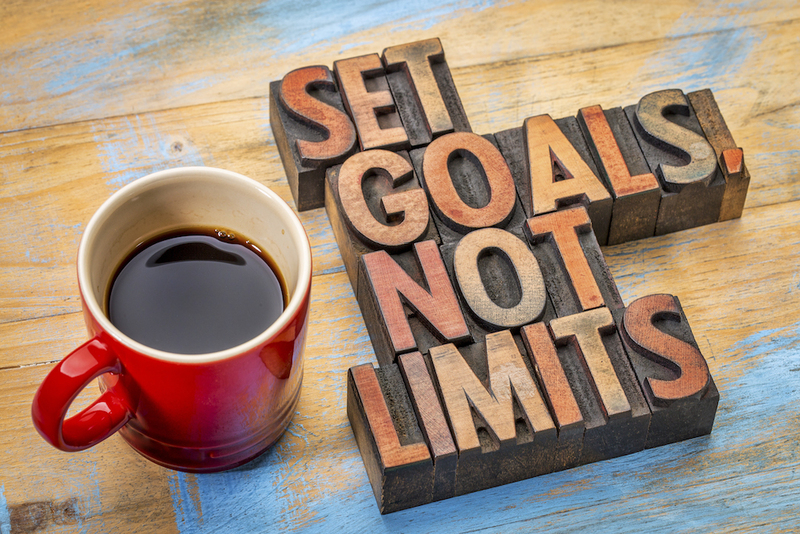 Set positive, realistic goals. An appropriate goal is for a child to maintain their current weight while growing normally in height. Instead of focusing specifically on dropping a certain number of pounds, or not adding any more, set goals such as riding a bike or swimming for 20 minutes a day. 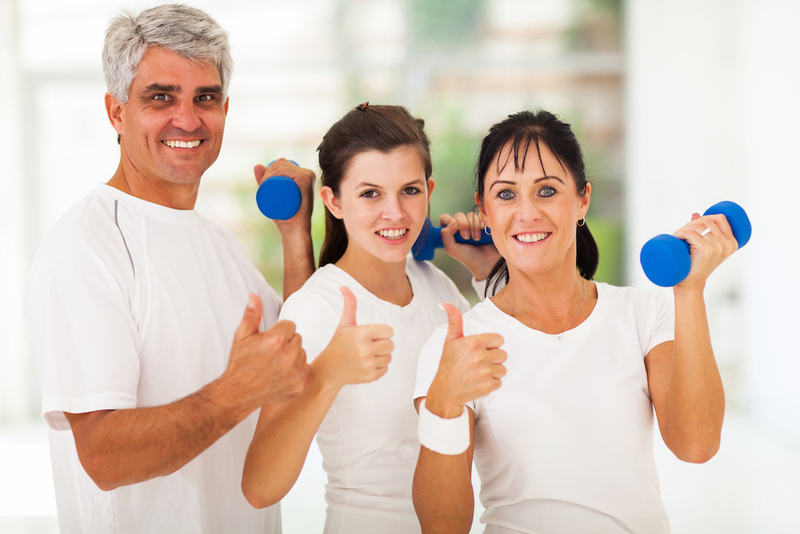 Express a healthy attitude about your own body (even though you may have your own issues). When your child sees you enjoying physical activity and eating wisely, he or she is more likely to pick up on the life lesson. Do not prepare separate meals for an overweight child. This will only enhance the feeling of being different and might also be seen as a type of punishment. Healthy meals should be enjoyed by the entire family. It is only necessary to control the quantities eaten by an overweight child.